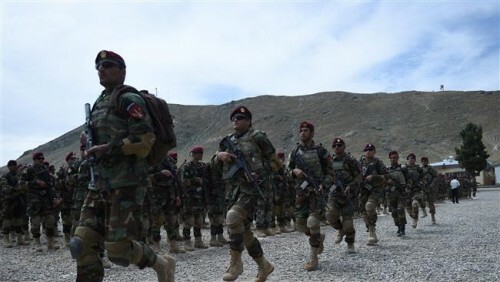 At least 17 Afghan soldiers were killed after Taliban militants overran an Army base in the northern part of the country following a three-day intense fighting, officials said on Tuesday. The clashes started last Saturday after hundreds of Taliban militants stormed and besieged Camp-e-Chenayeeha base in the remote Ghormach district of Faryab province in which about 106 Army soldiers were stationed, Xinhua news agency reported. The Taliban attack in the north coincided with clashes in the southeastern province of Ghazni, which lies on the main highway linking Kabul with the south. Hundreds of people have been killed or injured during clashes there since last week. Heavy clashes and airstrikes were reported on Tuesday as fighting in the city entered the fifth day. The UN Office for the Coordination of Humanitarian Affairs has warned that residents of Ghazni were struggling to access basic services and medical care. “The besieged soldiers showed stiff resistance and fought back the attackers for the past three days but the base was captured by militants as the soldiers received no help or supplies despite repeated requests,” said Sebghatullah Selaab, an official from the provincial council. He said 15 soldiers were injured and five others were captured by the militants while several soldiers fled to nearby villages or mountains. The Taliban seized 14 armoured military vehicles, heavy guns, weapons and ammunition after the seizure of the base in the province, 425 km northwest of Kabul. The Taliban-led insurgency has been on the rampage since the beginning of 2015 when the Afghan security forces assumed full responsibilities of security from the US and NATO troops.